AS A tide of damaging accusations and emerging court cases swelled beneath Paul V. Carlucci's News Corp. career, Rupert Murdoch took decisive action... he promoted his controversial lieutenant. When his son Lachlan stepped down as publisher of the powerful New York Post tabloid in 2005, it was to Carlucci that Murdoch turned with a new mission - to helm one of the great American news institutions. And though Carlucci's appointment may well have surprised outsiders, within News Corp. it was business as usual. Carlucci's arrival at Rupert Murdoch's top table was, the company insisted, "entirely appropriate". Carlucci, Murdoch effused, was a man of the moment - a man to "exploit the advertising sales momentum that we have built up"; a man "without peer in the consumer advertising and marketing industry". 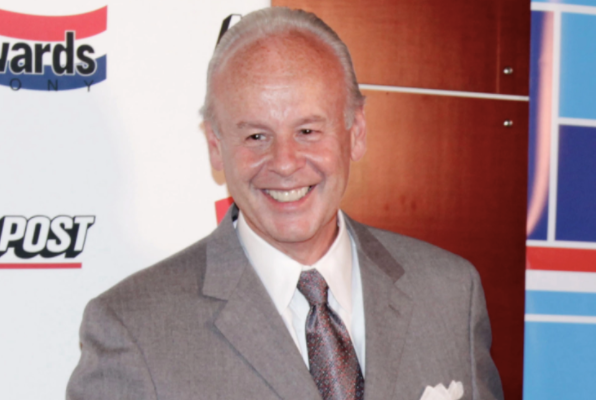 "Paul Carlucci," he said, "has a tremendous reputation in the advertising and marketing industries... (ran) the pre-eminent consumer advertising and promotional business in America for more than a decade... (and has) an unparalleled network of contacts among retail advertisers." Peerless though Murdoch clearly believed Carlucci's nose for a dollar to be, the question remained of whether the tough guy tactics allegedly used at News America Marketing would translate to the highly assertive newspaper business? Certainly, under Carlucci, The New York Post was no pushover. It laid siege to the readership of its city rival, the better-read Daily News, in a circulation war where cover price was the principal tool of combat. Within a year, by slashing its cost from 50c to 25 for long periods, Carlucci's Post for the first time briefly outsold the News, though that run quickly reverted to a losing trend that continues to this day. Nor could Carlucci provide the one thing Rupert Murdoch prizes as highly as the influence his newspapers give him - profits. In fact The New York Post under Carlucci - for all its megaphone sensationalism - was reportedly running at losses of $70m a year come 2012. Yet, despite presiding over a cash pit of a newspaper, and a plague of costly lawsuits at NAM, Rupert Murdoch's admiration for Carlucci seemed only to grow. The resolve of Rupert Murdoch's loyalty toward favoured employees caught up in claims of serious wrongdoing - some of it criminal - has been tested elsewhere. In the UK, his newspapers chief Rebekah Brooks (pictured above), having alongside his son James overseen a cover-up of phone hacking at his best-selling Sunday title, The News of the World, was cleared of conspiracies to intercept communications and also to bribe public officials in a so-called £100m 'super-trial' at Britain's Central Criminal Court, only to be quickly returned to her Chief Executive Officer's role. 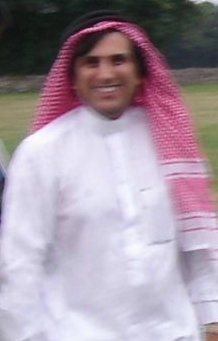 In a separate criminal case in 2016, Murdoch's top UK undercover reporter "the Fake Sheikh" Mazher Mahmood, who was famed for posing as a wealthy Arab (pictured right) in order to trick celebrities into front page indiscretions, was jailed for 15 months for perverting the course of justice over a phoney drug sting plot involving the singer Tulisa Contostavlos. As a result, some 25 other convictions secured by Mahmood during the course of his career are now also under scrutiny. “Mazher has led scores of successful investigations during his 25-year career with the company," it said in a statement. "His work has led to the exposure of criminality and wrongdoing. It is a source of great regret that his time with the company should end in this manner." But Mahmood is hardly the first of Murdoch's UK journalists to attract the attention of law enforcement. Nick Parker, a senior journalist at his market-leading tabloid The Sun, was taken back into the editorial fold after being convicted of handling the stolen mobile phone of Labour Party Member of Parliament, Siobhain McDonagh. Byline Investigations is also aware of other senior journalists in the Murdoch empire who were convicted of criminal conduct in the hacking scandal receiving very large amounts of cash from News Corp.'s UK subsidiary, News UK, in “settlement agreements”, all of which included gagging clauses. 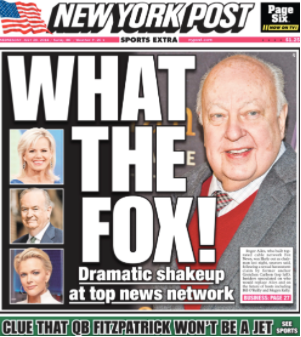 In the US, when eventually the founder of Murdoch’s controversial right wing broadcaster Fox News, Roger Ailes, was forced out over claims of sexual harassment, he did so with a reported $40m payoff. 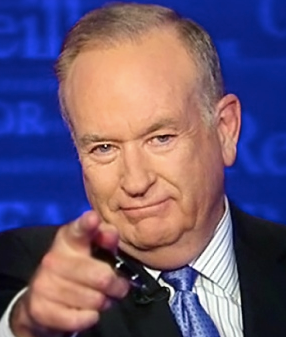 And it took a revolt from advertisers before Fox eventually got rid of its leading presenter Bill O’Reilly over another sexual harassment scandal, the extent of which still has yet to be established. But the greatest scrutiny of all is being reserved for Murdoch's son and heir-apparent James, who is now both Chairman of Sky plc and the company bidding £11.7bn to fully take it over, 21st Century Fox. 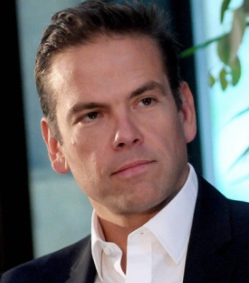 The bid, currently being reviewed by the Competition and Markets Authority, comes after James Murdoch was deemed 'fit and proper' to run Sky by British media regulators Ofcom. That decision is already being facing a possible court challenge, with James having faced sharp criticism from the regulator in an earlier fitness test on Sky, for having repeatedly fallen "short of the conduct to be expected of him as a chief executive officer and chairman" in the phone hacking scandal that exploded in 2011. 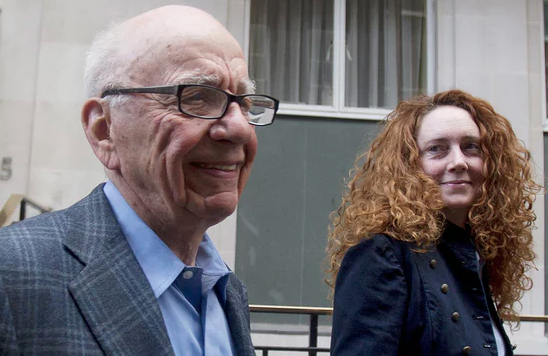 Over time, the affair caused a parliamentary inquiry, the closure of the Murdoch family's biggest Sunday tabloid, around 1000 civil lawsuits, and the criminal convictions of several former journalists, including an editor-in-chief. James Murdoch is also accused of overseeing a cover up of the extent of voicemail interception in scores of legal claims - which the company is resisting - that still have yet to complete their passage through the British Courts. James previously admitted to a Parliamentary inquiry that he mishandled News Corp.'s response - of aggressively denying and failing to adequately investigate - to significant evidence of illicit news gathering at the family's British newspaper interests. According to the lawyer who represented Valassis Communications in its $500m settlement with Murdoch's News America Marketing, Greg Curtner, the recurrent pattern of wrongdoing within Murdoch’s businesses reveals a mentality verging on that of organised criminals. Now, Sky plc, with its more than 11 million UK customers, will be wondering about the fate of Europe's biggest pay-TV broadcaster under full Murdoch control. James's elder brother Lachlan has already made clear the family's desire to exploit the information it holds on its customers - and is confident nothing will get in the way of a Sky takeover by mid-2018. Despite the new global reality, in an age of Google and Facebook, where ownership of users' data confers power, James Murdoch articulated the end game most clearly in a speech at the MediaGuardian Edinburgh International Television Festival in 2009. “The only reliable, durable, and perpetual guarantor of independence is profit,” he said, with the conviction of a television evangelist, as he took aim at Britain's licence-fee-funded broadcaster, the BBC. With its decade-plus of enormous lawsuit payouts, computer hacking, FBI investigation, allegedly mob-inspired activities, monopolistic aims, phone hacking, justice perversion, sexual harassment scandals, Parliamentary probes, public inquiries, and a string of criminal convictions of staff, the outcomes of the Murdoch family's hunt for profit lack no demonstration. Indeed, the story that began with two brothers from New Jersey standing up to a power corporation has all the elements of a Hollywood blockbuster - albeit one 21st Century Fox is unlikely ever to commission. 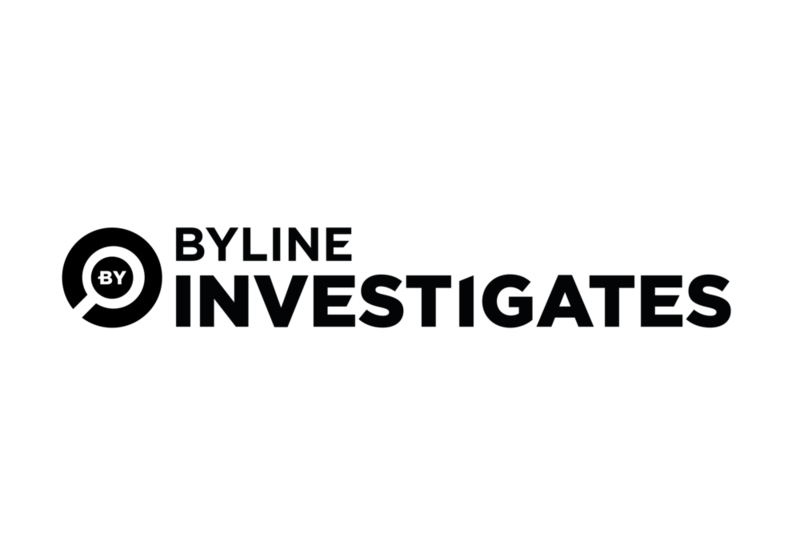 * Byline Investigates posed a series of questions to News UK, News Corp. and the New York Post in connection with this series of articles, but received no response. Sep 20 MURDOCH, COMPUTER HACKING AND THE F.B.I.